How can I blacklist customers in the Email Autoresponder? You can go to the Email Autoresponder control panel and manually just enter the order number there. We will automatically figure out the customer and mark him as unsubscribed. He/She will no longer receive any emails from you. The second option is a bit easier. You do receive an email from amazon notifying that the user no longer wishes to receive emails from you. You can just forward this email to blacklist@zonpages.com and we will automatically unsubscribe the client. 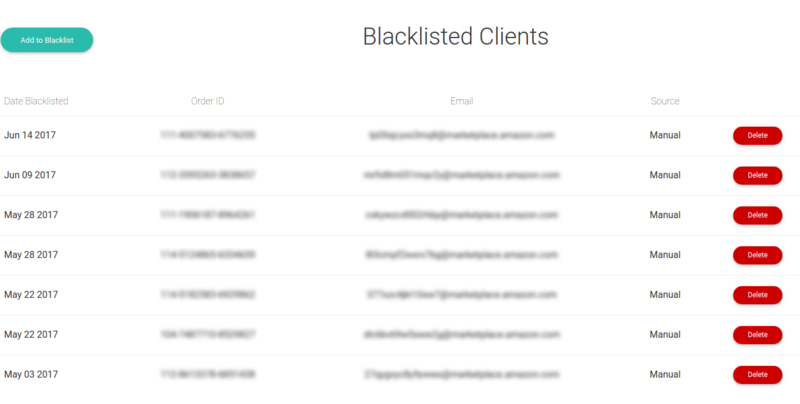 Finally you can always lookup your clients that have been blacklisted and even unblacklist them.